Talks aimed at reaching an intelligence-sharing agreement between the European Union and Israel have skirted around the location of Israel’s national police headquarters in occupied East Jerusalem. In 2005, the EU decided that Europol, its law enforcement office, should negotiate a formal cooperation agreement with Israel. Although Europol stated last year that a draft accord had been completed, it has now acknowledged that the question of Israeli police basing their headquarters on Palestinian land has not been properly addressed. “The negotiations so far have not touched upon the issue of the location of the main office of the Israeli police in East Jerusalem,” a Europol spokesman said. The issue is highly sensitive because the Union has never recognised Israel’s 1967 occupation of East Jerusalem and has opposed Israel’s policy of evicting Palestinians from their homes in Sheikh Jarrah, the neighbourhood where Israel’s police and public security ministry are headquartered. A report by EU diplomats from March last year complained about a marked acceleration in the pace with which Israeli settlements are being built in East Jerusalem as part of a deliberate policy to sever it from the remainder of the West Bank. “Israel is, by practical means, actively pursuing the illegal annexation of East Jerusalem,” the report said. Israel is one of several countries – including Russia, the U.S. and Canada – to have entered into talks on sharing information with Europol. As part of an eventual agreement, Europol would expect to have representatives stationed in Israel’s police headquarters. Such a move would involve a reversal of a decades-old EU policy as it would mean a de facto recognition of Israel’s takeover of East Jerusalem. An alliance of Palestinian trade unions and campaign groups urging a global movement of boycott, divestment and sanctions (BDS) against Israel argued that an EU-Israel police cooperation agreement would violate international law. Michael Deas, European coordinator for the Palestinian BDS National Committee, said his group had recently received legal advice from a barrister. This opinion concluded that any state that acted to legitimise Israel’s control of Palestinian territories would be directly contravening the Fourth Geneva Convention, a 1949 law written in response to Nazi atrocities during the Second World War. Deas added that an EU-Israel police accord would follow a series of moves to involve Israel intimately in some of the Union’s key political and economic policies in recent years. Israeli arms companies that supplied some of the deadliest weapons used in the war against Gaza in 2008 and 2009 and makers of surveillance technology for illegal settlements and military checkpoints in the West Bank are among the beneficiaries of the Union’s multi-billion euro “framework programme” for scientific research, he noted. He also likened Israel’s systematic denial of basic rights to Palestinians to the apartheid regime that ruled South Africa for much of the twentieth century. “If the European Union signs an agreement to share intelligence with the Israeli police force, it would only further entrench its active complicity in Israel’s occupation and apartheid system,” he said. Under the 1995 convention that covers Europol’s activities, the office is not permitted either to process information that has been obtained in a manner that violates human rights. While Israel’s High Court ruled in 1999 that some interrogation methods used against detainees should be prohibited as they clearly consisted of torture and ill-treatment, allegations of widespread torture persist. A December 2009 report by the Public Committee Against Torture in Israel (PCATI) found that complaints of torture are frequently glossed over by the authorities. Out of more than 600 complaints submitted by torture victims since 2001, not one had led to a criminal investigation, according to the report. Amnesty International’s latest annual report indicates, too, that torture of Palestinian detainees by Israel’s General Security Service is rife. Practises allegedly used include beatings, placing detainees in “stress” positions designed to cause them pain and discomfort, and forced sleep deprivation. Despite the 1999 court ruling, Israel still allows torture in cases where it is deemed “necessary”, Amnesty noted. A further snag is that the EU’s own data protection officials regard Israel’s privacy laws as inadequate. In a 2009 paper, the officials said that linking Europol’s databases with those run by the Israeli police would breach the Europol convention. Israel was found not to respect data protection standards to which Europol is legally bound such as requirements that the collection of data should not be “excessive” and that it should not be stored indefinitely. Jelle van Buuren from Eurowatch, a civil liberties organisation, said that Europol wishes to have strong links with Israel and other countries it deems as strategic partners so that it can curry favour with the Union’s governments. Ireland’s EU commissioner Máire Geoghegan-Quinn is set to approve two technology grants for an Israeli company that made some of the most lethal weapons used in last year’s war against Gaza. Brussels officials are assessing a new series of Israeli applications for funding under the EU’s multi-annual research programme, which Geoghegan-Quinn administers. The probable beneficiaries include Israel Aerospace Industries (IAI), manufacturer of the Heron, a warplane that terrorised Gaza’s 1.5 million inhabitants in late 2008 and 2009. IAI has been deemed eligible for two new EU grants following evaluations carried out in recent months but is awaiting a final decision from Geoghegan-Quinn and her advisers. The grants – part of a series earmarked for Israel worth a total of €17 million – are supposed to help develop a new internet-type system for the telecommunications and financial services industries. Although Israel does not formally belong to the EU, it is an active participant in the Union’s “framework programme” for scientific research, which has been allocated €53 billion between 2007 and 2013. The programme is the largest source of funding that Israel receives from the EU, with Tel Aviv expecting that the total value of the grants it draws over the duration of the programme to exceed €500 million. IAI’s Heron was one of the two pilotless drones – also known as unmanned aerial vehicles (UAVs) – “battle-tested” by Israel in Gaza last year. An investigation by Human Rights Watch found that while these aircraft are equipped with sophisticated cameras and sensors allowing an army to verify whether a target is a combatant or a civilian, they were frequently used against innocent Gazans. Eighty-seven civilians were killed by drones during the three-week offensive. Despite the widespread revulsion at that war among the European public, IAI’s wares were given much prominence at Eurosatory, an arms exhibition held in Paris earlier this month. The company availed of the occasion to promote a new unmanned weapons system called the Electronic Tethered Observation Platform (ETOP). It has been hailed as the first in a line of “hovering air vehicles” that IAI has designed for future wars. Israel is predicting that 2010 will be a bumper year for its arms companies, with their sales reaching $8 billion, according to a recent statement from the country’s defence ministry. With a population of only around 7 million, Israel is already the fourth largest arms dealer on the planet. Among the other Israeli firms likely to have their funding bids rubber-stamped by Geoghegan-Quinn are Afcon, a supplier of metal detectors to military checkpoints in the occupied Palestinian territories, including the Erez crossing between southern Israel and Gaza. Afcon was also awarded a contract in 2008 for installing a security system in a light rail project designed to connect illegal Israeli settlements in East Jerusalem with the city centre. Geoghegan-Quinn’s anticipated support for Israeli firms specialising in surveillance follows a raft of EU grants issued to such companies over the past decade, when Israel positioned itself as indispensable to George Bush’s “war on terror”. Athena GS3, a company run by a former head of the secret service Mossad, has been one of many recipients. It forms part of the Mer Group, a supplier of equipment to settlements and checkpoints in East Jerusalem and the wider West Bank. With the world’s population predicted to reach 9 billion by mid-century, the notion that a form of agriculture aimed at producing more from less can put food in everyone’s mouth may appear Utopian. Olivier De Schutter, the United Nations’ special rapporteur on the right to food, begs to differ. The Belgian professor is a champion of agro-ecology, a science that stresses the need to work with nature, rather than to try and conquer and replace it with technology developed in laboratories. Using such techniques as water harvesting and crop rotation, agro-ecology generally eschews “external inputs” like imported pesticides. Not only is this approach far less damaging for the environment than the intensive model of agriculture that prevails today, it can highly productive, according to its supporters. Their case has been bolstered by a major new study from Essex University in Britain, estimating that agro-ecology can bring us almost 80 percent more food than “conventional” farming. Q: Do you seriously believe that agro-ecology has the potential to end global hunger? A: Agro-ecology does not mean simply not benefiting from modern technology. It means instead adopting the very best technology developed by farmers, producing locally the inputs they need to fertilise the soils and grow crops. All these techniques have been proven to increase yields very, very significantly. The study covering 57 countries by Jules Pretty and his team in Essex University came to the conclusion that the average yield increase (through switching to agro-ecological approaches) was 79 percent. That is an incredible result, just by using the correct techniques. Q: Food production has become increasingly concentrated in the hands of a small number of companies. What can be done to counter their growing power? A: It’s been the wrong approach to basically develop science in laboratories and then dump this science on the farmers without taking into account their views and real needs. We need to make public decision-making in this area much more transparent and democratic. Public decision-making should be much less influenced by corporate interests. Q: Can there be any place for chemical fertilisers and genetically modified (GM) foods in the approach to agriculture that you are advocating? A: Fertilisers shouldn’t be demonised. Agro-ecology relies on locally produced inputs: organic fertilisers, manure. Sometimes it’s useful for one year, when you launch something, to use external inputs – phosphate, for example, to revitalise the soil. But the idea of agro-ecology is that it should then very soon become self-supportive. GM crops is a very complicated issue. Agro-ecology is not focusing primarily on the plant, it focuses on the plant in its ecosystem, sees the plant as part of a much larger system. GM technology basically dissociates the plant from its environment. GM foods mean a huge dependency for farmers on seeds that are protected by intellectual property rights that are in the hands of a small number of corporations. In fact, GM seed specifically is dominated by one single company: Monsanto. That creates a huge liability for farmers who are all too often falling in debt because they have to buy at too high a cost. Q: Your predecessor as UN special rapporteur, Jean Ziegler, once said that when a child dies of hunger, he or she has been murdered. Do you agree with him? A: We agree on the substance. Three million children die every year from malnutrition and we have one child out of three in developing countries born to a mother who is suffering from anaemia, so it’s a very serious problem. When you look at any situation and you go up the chain of causes, you end up identifying one decision made by governments, which was the wrong one. There is always a need to move beyond the technical question – why is this person starving? – to the political question – how can this be? Q: Israel’s economic blockade of Gaza has caused malnutrition levels there to soar. Does the blockade violate the right to food? A: Absolutely. It’s evident that by not allowing the economic system to flourish, Israel is committing a very serious violation of the right to food, which is also the right to produce and to gain incomes. The farmers there have no inputs, they have no possibility to sell on markets; 80 percent of the population is without employment. This is destroying completely this community. Q: The World Food Programme and other bodies have argued that the EU’s efforts to increase the use of biofuels have exacerbated global hunger. Yet the Union is refusing to change its policy on biofuels. How do you feel about that? A: A major impact of biofuels is increased land concentration and speculation on land which drives off indigenous peoples and small farmers from the land they need for their livelihoods but on which they don’t necessarily have a legally recognised status. In all the countries I’ve visited – and I’ve been in quite a few developing countries over the past couple of years – the complaints of farmers is always the same. They fear they are going to be evicted from their land. The single most significant driving force behind this is biofuel production. The certification criteria which the European Commission presented recently (officially designed to make biofuels “sustainable”) do not take this into account. One thing that is completely absent from the criteria presented by the European Commission is the impact it (biofuel production) is having on equality and inequality in rural areas. It is my conviction that in most cases, if not all cases, biofuel production will benefit those who are better-off and not benefit the poorest. Instead, it will make the position of the poorest worse. European Union subsidies earmarked for reducing air travel’s contribution to climate change may help develop deadlier warplanes than those already found in the world’s arsenals, Brussels officials have admitted. Some 1.6 billion euros (2 billion dollars) has been allocated to the EU’s “Clean Sky” project, which aims to develop aircraft engines that emit half as much carbon dioxide as those now in use. With the funding being divided between industry and the European taxpayer, plane and engine manufacturers have stated that the project underscores their eagerness to be more ecologically responsible. Yet a closer look at the glossy brochures promoting the scientific research initiative reveals that the list of participants reads like a “who’s who” of major arms producers from Europe and further afield. These include Dassault, EADS, Safran, Israel Aerospace Industries, Saab and Westland Helicopters. Under the terms of their involvement, individual companies may apply for patents on innovations realised during the course of their research. The European Commission, the EU’s executive branch, says that there will be nothing to stop such firms from using the technology they develop for military purposes. The participation of Israel Aerospace Industries (IAI) in the project has drawn criticism from some human rights advocates. This firm supplied many of the weapons used by Israel in its attacks on Gaza during late 2008 and early 2009. Even though it is not a fully-fledged member of the EU, Israel is a participant in its scientific research programme and has proven more adept at drawing down grants than most of the Union’s own states. Due to be completed in 2017, Clean Sky is one of the largest research projects ever financed by the EU. Gareth Williams, a representative of Airbus, the French aviation firm, said that air traffic tends to double every 15 years and is likely to double once more in the coming 15 years. “With this growth in the sector, we must address the issues around emissions,” he told a conference held in Brussels on June 18. Aviation accounts for about 5 percent of all releases of climate-changing gases into the atmosphere, with some studies predicting that the environmental impact of flying will be three to four times greater than in 2000 by the middle of this century. Unlike most other industries, aviation has still not been brought within the scope of an international emissions control agreement. A leading Israeli supplier of warplanes used to kill and maim civilians in Gaza is in the running for two new scientific research grants from the European Union. Two projects involving IAI have recently passed the evaluation stages of a call for proposals under the EU’s multi-annual programme for research, which has been allocated 53 billion euros (65.4 billion dollars) for the 2007-13 period. Among the other Israeli firms being considered for such funding are Afcon, a supplier of metal detectors to military checkpoints in the occupied Palestinian territories, including the Erez crossing between southern Israel and Gaza. Afcon was also awarded a contract in 2008 for installing a security system in a light rail project designed to connect illegal Israeli settlements in East Jerusalem with the city centre. Mark English, a Commission spokesman, said that the procedures relating to the projects have not yet been completed. But the Israeli business publication Globes reported last month that Israeli firms stand to gain 17 million euros from the latest batch of EU grants for information technology. According to Globes, this will bring the amount that Israel has drawn from the EU’s research programme since 2007 to 290 million euros. Israel is the main foreign participant in the EU’s science programme. Officials in Tel Aviv say they expect Israeli firms and research institutes will have received around 500 million euros from the programme by the time of its conclusion. Chris Davies, a British Liberal Democrat member of the European Parliament (MEP), expressed anger at how the Commission’s research department appears willing to rubber-stamp new grants for Israeli companies. Such a “business-as-usual” approach is at odds with tacit assurances from officials handling the EU’s more general relations with Israel, he said. In late 2008, the EU’s 27 governments agreed to an Israeli request that the relationship should be “upgraded” so that Israel could have a deeper involvement in a wide range of the Union’s activities. But work on giving formal effect to that agreement has stalled because of the subsequent invasion of Gaza. Approving EU finance for Israel Aerospace Industries “should be regarded as utterly unacceptable, incoherent and outrageously naive,” Davies said. He argued that there appears to be “no communication” between different sets of EU representatives on how Israel should be handled. “Where’s the joined-up thinking?” he asked. While the European Commission claims that all of its scientific research cooperation with Israel is civilian in nature, the Israeli government has been eager to publicise the almost umbilical links between the country’s thriving technology sector and its military. A brochure titled “Communications in Israel” published by its industry ministry earlier this year refers to a “symbiosis” between the security and technology sectors in Israel. Several technology breakthroughs – such as the invention of voice recognition devices for computers by the Israeli army in the 1980s – have resulted from this “convergence”, the brochure claims. Other likely Israeli beneficiaries of the new round of EU funding do not conceal how they have benefited from this convergence, either. The Israeli subsidiary of SAP, the software manufacturer, has issued publications about how it has provided specialist equipment for the Israeli army. And both Emza and LiveU, two “start-up” companies, are examples of the numerous makers of surveillance equipment in Israel that have seen their order books fill up since the country tried to position itself as an indispensable part of the “war on terror” declared by former U.S. president George W. Bush. Habtom, a 30-year-old Eritrean, has all the grim qualifications needed to be a refugee. He was arrested for protesting a dictatorship, tortured in custody, and fears his life would be at risk if he returned home. Another part of his story is also typical: he suffered lengthy detention in a European Union nominally committed to the universal defence of human rights. Four years ago Habtom (not his real name) fled to Malta. It would take 11 months before the island’s officials interviewed him and became aware of how he had taken part in student demonstrations against his government in 2001 and how he had subsequently been jailed and beaten for daring to question his commanders while he was a military conscript. Throughout that time, he was locked up in the Shifa detention centre. After his interview, he was held there for yet another month – before he was eventually recognised as being in need of protection. A new report from the Jesuit Refugee Service (JRS), “Becoming Vulnerable in Detention”, indicates that Habtom’s plight is similar to that of numerous asylum-seekers throughout the EU. Based on a survey of 700 detainees in 21 EU countries, it found that more than 70 percent of people held for four to five months suffer mental health issues that they ascribe to the conditions in which they find themselves. Yet in 87 percent of detention cases examined, no psychiatric treatment was made available. Other medical specialists such as gynaecologists and dentists can generally can generally not be found, too. Although human rights campaigners insist that asylum-seekers should only be detained if there is a clear case that this is necessary on security grounds, they fear that detention will become more routine as a result of a new EU law. Under the “returns directive” – which lays down rules for the expulsion of migrants not allowed to remain in Europe – governments can detain asylum-seekers for up to 18 months. The EU’s governments are required to place the directive on their statute books by the end of this year. Jerome Phelps from the London Detainee Support Group says that the British exemption means there will be no time limit on how long it can detain asylum-seekers. Despite the decision not to lock up children, adult asylum-seekers are still frequently detained in Britain. Official data indicates that at any one time, more than 220 asylum-seekers have been in detention in Britain for longer than a year but Phelps believes that this is an underestimate. A major problem, he said, is that Britain tends to lock up people from countries such as Somalia and Iran, who cannot be deported because of the political situation in their native lands. Britain also detains those found to be working without the required permits. “We are very keen that the government should view the ending of the detention of children as a first step towards a broader reform of a very expensive and dysfunctional system,” Phelps added. Strategists with the North Atlantic Treaty Organisation (NATO) are eager to maintain the strong bonds they have developed with Israel in recent times, even though its forces last week attacked a ship flagged in Turkey, a steadfast member of the alliance. Ever since its inception in 1949, NATO has legally been dedicated to the principle of mutual defence. According to this principle, an attack on any one country in the alliance is considered an attack on all of its member states. Analysts readily concur that Israel posed a fundamental challenge to NATO by storming the Mavi Marmara, a Turkish vessel participating in the Gaza Freedom Flotilla, killing nine peace activists. But while Turkey’s government responded swiftly to the assault by convening an emergency meeting in NATO’s Brussels headquarters, Realpolitik has prevented Ankara from demanding a robust response from its allies. NATO sources, speaking on condition of anonymity, say there are no discussions foreseen about whether it should review the basis of the cooperation arrangements made between it and Israel over the past few years. In 2008, Israel’s then foreign minister Tzipi Livni secured an upgrade in the country’s relations with NATO. As part of an “individual cooperation programme”, Israel was given a higher level of access to the computer networks run by the alliance, as well as a greater role in sharing intelligence. It was formally accepted, too, that Israel should take part in some of NATO’s military missions. Before last week’s attacks, NATO planners had been examining how Israel can be more involved in Operation Active Endeavour, under which ships in the Mediterranean are monitored to detect if they are carrying illegal weapons. One NATO source said that a “lot has been invested” in the past decade in building up closer links with Israel. Among the manifestations of such links were a 2007 exercise, in which six warships – hailing from Germany, Greece, Spain, Turkey and Italy – docked in the Red Sea port of Eilat for joint drills with the Israeli military. Although top-level Turkish politicians have intimated that the damage caused to their bilateral ties with Israel by the flotilla massacre could be irreparable, a Turkish diplomat said “there is a chance” that Israel’s ties with NATO will remain sturdy. Anders Fogh Rasmussen, NATO’s secretary-general, said Jun. 7 that he would be opposed to any reduction of contact between the alliance and Israel. According to Rasmussen, dialogue with Israel is necessary to help ensure peace in the Middle East. “We owe it to the Palestinian people and we owe it to all the people in the Middle East to facilitate the peace process,” he said. He did not mention that Israel has become an important supplier of the high-tech weaponry – principally pilotless drones – use by the alliance in the war it is fighting in Afghanistan. Rasmussen also spoke of his ambitions to develop a new missile defence system that, he claimed, would bring greater protection to the 900 million people living in the countries that comprise the alliance. His statement followed the publication of a strategic document by NATO last month, which indicated that Iran’s nuclear programme could present NATO with a major security threat within the coming 10 years. Also last month, a senior NATO official Alan Berry confirmed that the alliance had been examining how missile interceptors already developed in Israel could be incorporated into a NATO defence system. In yet another development during May, the U.S. House of Representatives approved the allocation of 205 million dollars in finance for Israel’s Iron Dome project. Designed by the Israeli firm Rafael Advanced Defence Systems, the project is said to intercept short-range rockets. John Jennings, a researcher on how Israel’s occupation of Palestine breaches international law, said there is a “parallel mentality” behind the deepening relationship with Israel and NATO, on one hand, and Israel and the European Union on the other. These moves are “going to be to the detriment of the Palestinians,” he added. Despite identifying Iran’s uranium enrichment efforts as a threat, NATO has been silent about Israel’s own nuclear programme, with which it is widely believed to have developed up to 300 nuclear bombs. 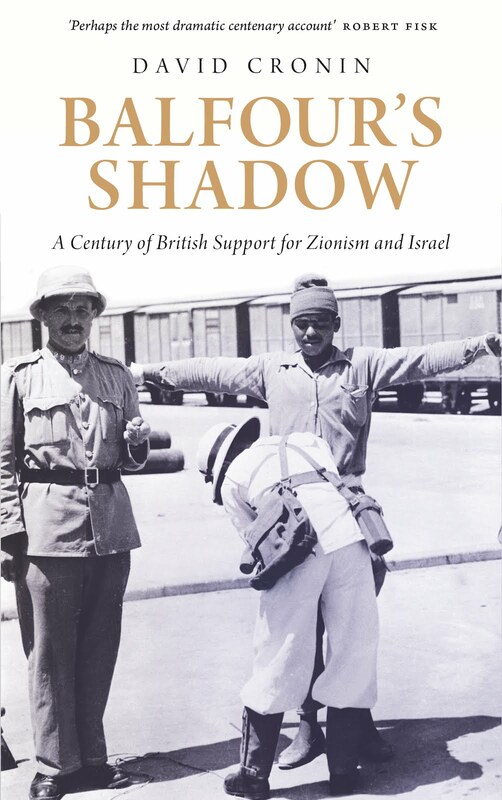 The programme has been developed in secret but a new book by the journalist Sasha Polakow-Suransky – “The Unspoken Alliance: Israel’s Secret Relationship with South Africa” – gives details of documents which appear to prove the existence of Israel’s nuclear weapons. Within three days of Israel’s attack on the Gaza Freedom Flotilla, the pro-Israel lobby in Brussels was already seeking to deflect attention from the killing of nine peace activists in international waters. The European Friends of Israel, a grouping of parliamentarians, issued a statement Jun. 3, which made no reference to the assault earlier in the week. Instead it highlighted the findings of a survey published by the Institute for Management Development in Switzerland, which named Israel as the economy most resilient to variations in the global economy and as a top spender on scientific research and innovation. These findings might help explain why the collective response of the European Union’s 27 member states to the attacks has been weak. For despite growing revulsion at Israel’s occupation of Palestine among ordinary people throughout the world, the EU has been so impressed with the robust performance of the Israeli economy that it has integrated it into many of its activities in recent years. While some individual EU governments made plain their displeasure with the attacks by summoning Israeli ambassadors to urgent meetings, the Union’s foreign policy chief Catherine Ashton merely described the attacks as a “tragedy”, a term usually reserved for accidents. Initially she called on Israel to conduct its own investigations. When she released a subsequent statement – during a visit to Russia – urging a “full and impartial enquiry of the events and circumstances”, she did not specify if this should be undertaken by Israel or by a United Nations-appointed team. Over the past decade Israel has been integrated into several EU programmes, ranging from satellite navigation to business promotion. Many of these programmes are administered by the European Commission, the EU’s executive. Yet José Manuel Barroso, the Commission’s president, would not comment when asked if he would be seeking a review of Israeli participation in the EU’s activities. “I fully agree with the position taken by the EU High Representative Cathy Ashton,” he told me, declining to elaborate. Barroso is one of several top-level politicians in Brussels to have cultivated strong ties with the pro-Israel lobby. Last year, he was guest of honour at the opening of a new EU affairs office for the European Jewish Congress (EJC), where he praised the organisation for “being fully committed to the resumption of the peace process” in the Middle East. The EJC has subsequently mounted an intense campaign designed to convince the European Parliament not to approve motions critical of Israel’s conduct in the occupied Palestinian territories. The EJC responded to the massacre perpetrated by Israeli troops on board the Turkish-owned vessel the Mavi Marvara by calling on the EU to officially declare one of the key groups in the Free Gaza campaign as a terrorist organisation. Moshe Kantor, the EJC’s president, accused the Foundation for Human Rights and Freedoms and Humanitarian Relief (known by the acronym IHH) of having links to al Qaeda. The Israeli government has made similar claims recently but they have been fiercely contested by international peace activists and supporters of the Palestinian solidarity movement, who insist the allegation is baseless. Scientific research has been among the largest areas of cooperation between the EU and Israel. The EU has become a major provider of research grants to Israeli firms and research institutes over the past decade, thanks to Israel’s status as the main foreign partner for the EU’s multi-annual research programme, which has been allocated 53 billion euros (64 billion dollars) for the 2007-13 period. Companies such as Motorola Israel, Elbit and Israel Aerospace Industries are taking part in the programme’s activities. The EU, meanwhile, would not support a motion brought before the United Nations Human Rights Council Jun. 3 condemning Israel’s attacks. Most European states on the council abstained from the vote, with Italy and the Netherlands siding with the US in voting against the resolution, which was carried by 32 votes to 3. The resolution demanded that Israel lift the blockade of Gaza and that it immediately allow food, medicine and other essential supplies to be delivered there. Two weeks ago NATO published a strategy document underscoring one of the alliance’s core tenets: an attack on any member of the alliance is an attack on all of them. Iran’s nuclear programme was identified as one of the biggest threats that the 28-nation club could face within the coming decade. Two weeks later, a NATO country has indeed come under attack. A Turkish vessel laden with food and other essential supplies for the undernourished and traumatised people of Gaza was the target of a murderous assault by Israel. As the ship was sailing in international waters at the time, this was tantamount to a declaration of war against Ankara. If Iran or North Korea had been behind a comparable act of piracy, Europe and America would either be retaliating with force or preparing stringent sanctions. Yet because Israel enjoys a privileged relationship with our governments, we have generally heard asinine statements of “regret” and “concern” (tellingly, the “r” word has been uttered both by Binyamin Netanyahu and Barack Obama). I’m certainly not advocating that Turkey should respond militarily. Rather, Israel should be ostracised diplomatically and economically until its political and military elite accepts that nobody has ever granted it a waiver from international law. The likelihood that this will happen in the short term is not strong. Avigdor Lieberman, Israel’s racist foreign minister, and his bloodthirsty predecessor Tzipi Livni have made several visits to NATO’s headquarters in Brussels in recent years. Even though they represent a terrorist state, they have had considerable success in convincing NATO’s planners that Israel is an indispensable partner in the “war against terror”. The alliance’s efforts to colonise Afghanistan are being assisted in no small way by pilotless drones and other sophisticated weaponry made in Israel. And to feed its delusion that Iran is the number one threat to world peace, NATO is closely studying how missile interceptors based in Israel can be used to ratchet up the tensions with Tehran. NATO has been inviting Israel to participate in joint manoeuvres, too. Even Turkey – as well as Greece (a country that ought to have other priorities at the moment) – had been scheduled to undertake military exercises with Israel but these have now been called off. The European Union is equally entangled in the occupation of Palestine. A few weeks ago the EU’s foreign ministers agreed to extend the mandate of the “border assistance mission” at Rafah – the crossing between Gaza and Egypt – for which they are nominally responsible. When the mission was first set up in 2005, it was hailed by EU officials as a major breakthrough for freedom of movement. Yet the reality is that Israel has always decided when the crossing can and cannot be opened (it has been closed permanently since 2007), with the result that the EU’s team has become a subcontractor for the siege of Gaza. Europe’s commercial ties with Israel have continued to flourish – at the same time that Israel has gone out of its way to prevent Gaza and the West Bank from having functioning economies. Only last month, Israel was admitted into that officer’s mess of global capitalism: the Organisation for Economic Cooperation and Development. Mossad’s abuse of British and Irish passports to carry out an extrajudicial execution in Dubai did not deter our governments from welcoming Israel into the Paris-based body. This week’s attacks appear to chime in a most chilling fashion with a warning given during the latest Herzliya conference - an annual talkfest for Israel’s “security” experts. A presentation by the Reut Institute – a “think-tank” – identified human rights and Palestinian solidarity activists as Israel’s biggest enemies as they are determined to “delegitimize” the state. In an odd way, the institute was right. When a state attacks a boat carrying nothing more dangerous than vegetables – or when it shows no signs of relaxing its occupation of another people’s land – that state’s legitimacy must be questioned. Just over a year ago, I travelled around Israel and Palestine. One campaigner I met in Jerusalem told me there was an idea doing the rounds that the next intifada – Palestinian uprising (literally “shaking off”) – should be an international one modelled on the campaign that helped demolish apartheid in South Africa. Boycott, divestment and sanctions would be essential elements of this struggle. It is possible that when Israel fired its bullets at a humanitarian convoy on Monday, it also fired the starting pistol for a new intifada. My hope is that this struggle will rely on the principles of non-violence, be supported by decent people everywhere and that our governments will be forced to stop rewarding Israel for its barbarism.